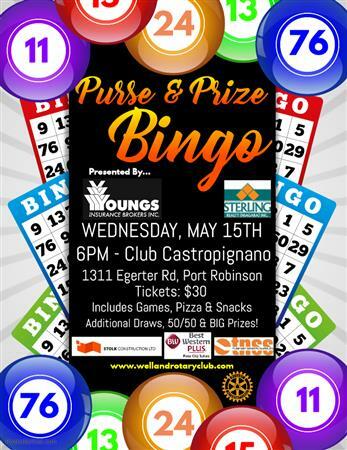 Tickets $30 each - Ticket includes: 10 Games of Bingo, Pizza and Snacks. Bingo game winners have the chance to take home purses and other prizes (not just for women!). The event will also have additional draws for cash and BIG prizes! For more details, contact us at info@wellandrotaryclub.com or Lauren directly today!